Registration for the 2015 COE Annual PLM Experience & TechniFair is now open! CLICK HERE TO REGISTER! You can review all pricing, options and information below prior to registration opening. If you have any questions, contact coe@coe.org. The COE 2015 Annual PLM Experience & TechniFair registration fee includes access to all general sessions, technical sessions, product function sessions, COE University sessions, meals as well as admittance to the COE TechniFair and all networking events. * In order to attend the COE 2015 Annual PLM Experience & TechniFair, you must be a COE member. If you have not attended a COE event in the past or are not a current COE member, please visit the join/renew page to submit your application. 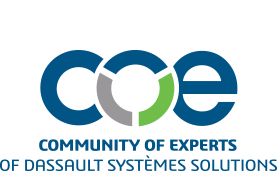 You can also contact COE HQ at coe@coe.org or 1.800.COE.CALL to register for a member ID. *Academic Professors are eligible for a discounted rate of $600. To be eligible for this rate, professors are required to update their institutions student roster to a minimum of 5 students. This allows students to take advantage of year-round COE education benefits. No costs are required. To redeem this discount, please email Mary Kate Fogarty. Representatives of the press receive complimentary access to the conference but must first be approved. Please e-mail your contact information and publication information to hjaracz@coe.org for consideration. The COE Annual PLM Experience & TechniFair guest program is designed to allow one guest to attend the COE receptions. The cost for a guest badge is $50. *Note: the guest badge is only valid for receptions and is not valid for other COE functions (i.e. lunch, sessions, etc.) Guest passes are for spouses and significant others. Before you register read through the Product Function Sessions Confidentiality Agreement. Prior to registering, review the COE Substitution and Cancellation policy. It is important that you enjoy the COE 2015 Annual PLM Experience & TechniFair. If due to a disability, you have any special needs, accommodations or requirements, please detail your requirements via e-mail to coe@coe.org and we will do our best to accommodate your needs.